Cards to stitch when you want to mark a very special occasion. 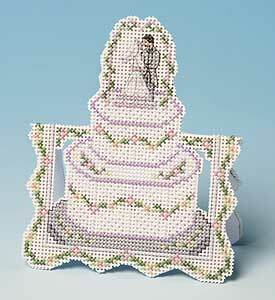 You may like to work this design of a bride and groom on a wedding cake for a special couple getting married. This card stands 13 cms high.